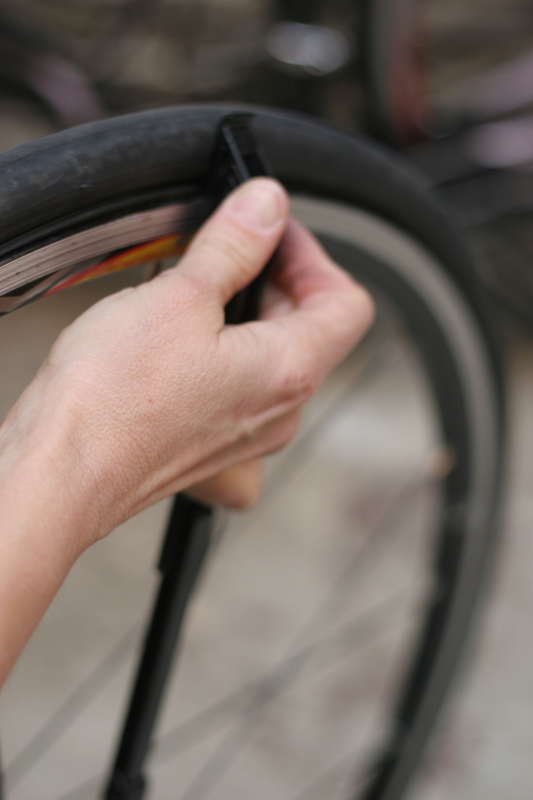 If changing a bike tire makes you sweat more than the workout does, a little plastic tool can change your life. 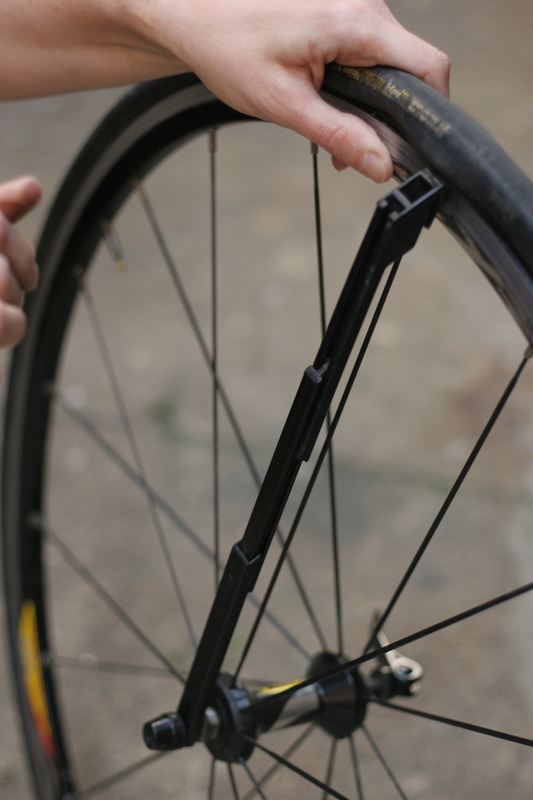 The Crank Brothers Speed Tire Lever makes tire changing the easiest thing you’ll do all day. Yes, even if your ride is 50% downhill. The tool looks like a joke, but don’t let it fool you. There’s a little spatula-shaped bit of plastic at the end that makes it a cinch to scoop the tire off the rim. After you scoop that under the bead of the tire, the real magic happens. 2. The telescoping body hooks onto the hub. This is more revolutionary than you think. Once you have a bit of the tire off the rim, all you need to do is sweep the tool around the tire; the fact that it’s anchored on the hub makes the work swift and easy. It’s kind of like sweeping your finger under an envelope flap that’s not very sticky — a little pressure just lifts it right up. You don’t need to have thumbs of steel to get even tough tires back onto the rim. After you pull the old tube out and replace it, flip the tool over, and this tire lever tucks the tire right back into the rim. 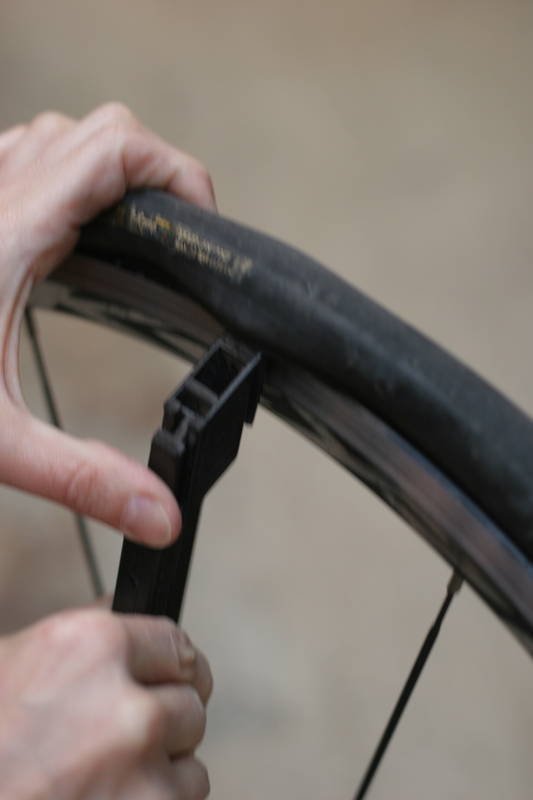 OK, sometimes it’s not quite that easy and you need to use a little strength, but tires I have to fight with when I use regular tire levers can be coaxed right back onto the rim by applying firm pressure to this tool. I’ve seen it sold for anywhere from $3 to $8. The downside to that? It’s cheap. But in the four years I’ve been using them, I’ve only broken one (not at a critical moment, but others haven’t been so lucky). 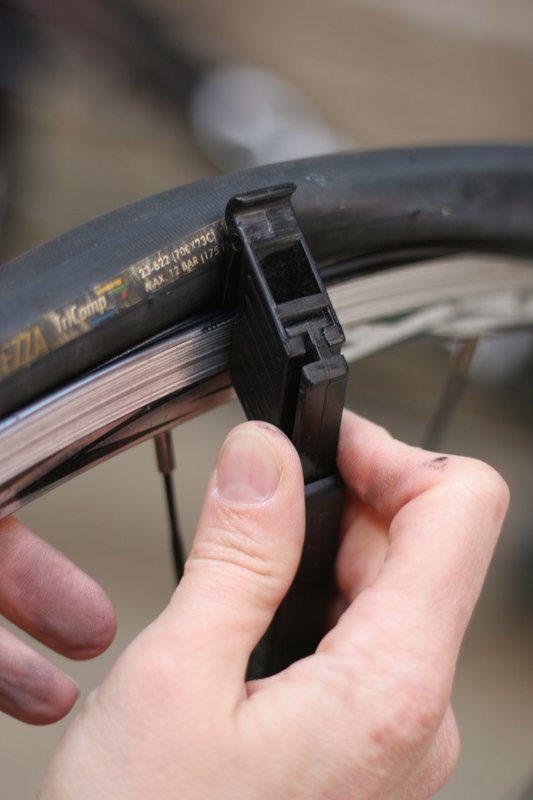 Oh, and did I mention that it makes tire changing really, really easy? There’s that. Buy it now, thank me later. It’s called the Crank Brothers Speed Tire Lever; some bike shops just call it a “speed lever.” A Google search will turn up many places to get it online for a huge range in prices; I get mine when I go to Toga Bikes in New York City (www.togabikes.com). ← Women-Only Races: Love Them or Leave Them?